By passing the Illinois Entity Omnibus Act (805 ILCS 415, effective July 1, 2018), Illinois is joining the many states who have adopted laws that allow a wide range of entities to convert from one entity type to another, and from one state to another. The act greatly expands the ability for corporations, limited liability companies (LLCs), limited partnerships (LPs) and other entity types to convert to another entity type in Illinois, or to move to another jurisdiction either as the same entity type or a different one. The Entity Omnibus Act applies to a wide range of different entities, each with their own terminology. To ensure the terms used in the act can apply to any type of entity, generic equivalents are often used. The terms listed here are used in this article, interpreted from Article 805 ILCS 415/102(3). General partnership (GP), including a limited liability partnership (LLP). Limited partnership (LP), including a limited liability limited partnership (LLLP). Foreign Entity: “Any entity other than a domestic entity.” Includes any entity type existing under the laws of another state or country, even if that entity type does not exist in Illinois. Interest: A share or membership in the entity. Public Organic Document: The publicly filed document which creates the entity, such as the Articles of Organization or Certificate of Incorporation. Organic Law: The laws governing the internal affairs of an entity. Private Organic Rules: The internal rules governing an entity, e.g. the bylaws or operating agreement. Prior to July 1st, 2018, limited conversions were allowed. Only LPs, LLPs, and GPs could convert to an Illinois LLC. Under the Omnibus Act, any entity can convert to any other entity type, domestic or foreign. A Plan of Conversion is drafted and approved, according to the organic laws and rules of conversion for the entity. If these do not speak to conversion, then the conversion should be approved in accordance with the rules governing a merger. 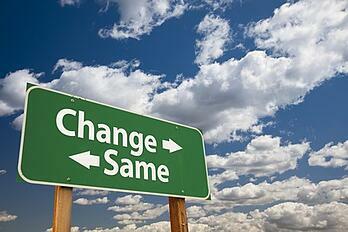 If there are no rules regarding a merger, then the conversion should be approved by all interest holders. Name and type of entity before and after the conversion. Effective date of the conversion. Statement that the plan of conversion was approved in accordance with Article 805 ILCS 415. Illinois will allow the entity to abandon a conversion after the statement of conversion is filed, as long as the entity files a statement of abandonment prior the effective date of the conversion. Similar to conversion, rules regarding domestication were also limited under previous Illinois law. Illinois LLCs could domesticate (become an LLC in another state or country), and foreign LLCs could domesticate into Illinois, as long as that was permitted by the laws of the foreign jurisdiction. As of July 1, 2018, domestications are expanded to allow any domestic entity to become an entity of the same type in another jurisdiction, and a foreign entity to become an Illinois entity of the same entity type. The latter are still only permitted if also allowed by the laws of the foreign jurisdiction. The provisions for domestication are similar to those for conversion. The Plan of Domestication is approved in accordance with organic laws and rules for a domestic entity, and in accordance with the laws of the jurisdiction of organization for a foreign entity. If the entity is domesticating into Illinois, the text of its public organic document must be included, following the rules for a restatement. 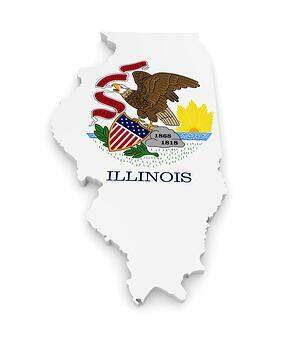 If the entity is domesticating out of Illinois, then an address for service of process must be provided. As with conversions, a domestication may be abandoned before the effective date. If this occurs after filing of the statement of domestication, a statement of abandonment must be filed. By allowing statutory conversions and domestications for any entity type, Illinois becomes another of dozens of states that have embraced these new types of filing. Statutory conversions make it much simpler for an entity to adopt the type and jurisdiction that suits its current needs, while maintaining continuous existence. Although the filing process is simple, it is, of course, important for an entity to ensure they have given careful consideration to tax and business implications of such a profound change by consulting with their attorney and accountant ahead of time.